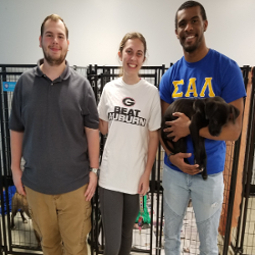 SAL’s University of Georgia chapter combined two events in one day, hosting an ice cream social and a trip to the Athens Area Humane Society. After eating some delicious ice cream, the chapter went to the Humane Society in order drop off the DIY animal toys that the chapter had made earlier this year. Chapter members also got to spend time playing with the animals at the Humane Society.